This is gorgeous, Nancy! Great sponging! I adore how you sponged this and left a white border for the sentiment with a die. Too cute and the feathers done in black and white are superb! This is a great thank you card for anyone. Very pretty and creative. Love the embossed resist technique with the sponged background. Oh Nancy, your card is fabulous! 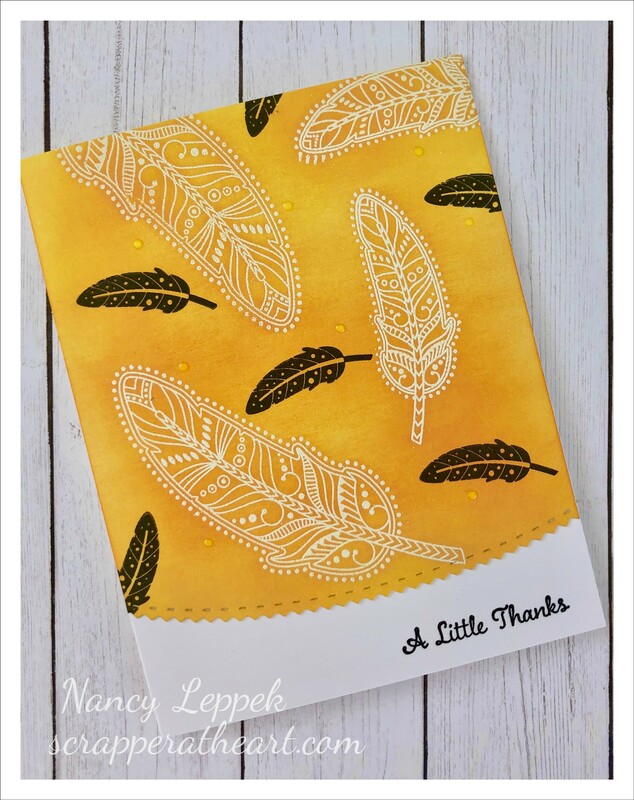 Love the Feather stamps you used and the background sponging. Beautiful! thank you for the inspiration!! I own this set!! I feel a CASE coming on! 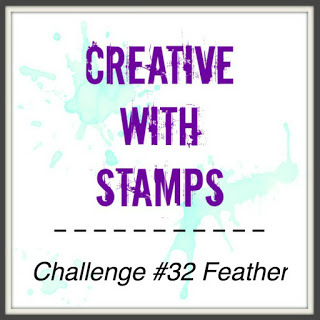 Hey, I saw your card over at the Create With Stamps Challenge and think it is so funny, that we both chose a very similar layout and colours. I love your card!! !